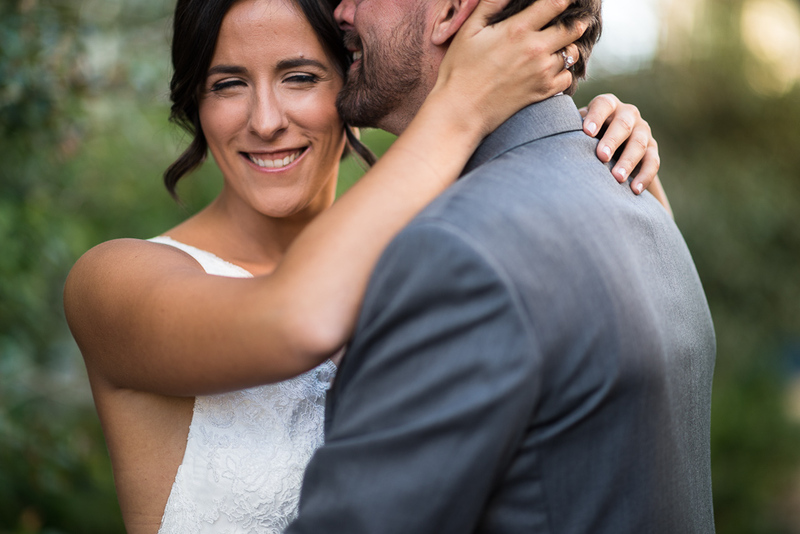 Leah and Brad’s downtown Denver wedding at the History Colorado Center was a great summary of who they are individually and who they are together. Leah loves the city. Brad loves the mountains. With a classy, polished feel and city views, there was no doubt that this was a city wedding. But their ceremony took place on top of a map of Colorado with an old sign as a backdrop that read “Welcome to Colorful Colorado”, bringing just a dash of the outdoors into the mix. Both Leah and Brad were totally relaxed through the entire day. The weather was perfect, their friends and family had arrived safely (including Brad’s Best Man who, due to a canceled flight in Chicago, rented a car and drove overnight to make it on time) and they were getting married. What was there to stress about? They effortlessly glided through the day, from first look to photos downtown, through their ceremony and into the reception. At the end of the day there were married, relaxed and happy. Congratulations Leah and Brad! I hope you have many wonderful adventures together, both in the city and in the mountains! If you missed their engagement session, be sure to check it out! Megan and Addison Got Married! Jenna and Michael Are Engaged!